4 Cones Total for Superior Audio Quality The BÖHM BIG is committed to help you enjoy your music's full potential. Whether you're listening to your favorite tunes or are engrossed in a blockbuster movie, this speaker delivers a wide, open soundstage and accurate tonal reproduction. This is made possible by strategically placed speaker cones: Two premium 12-watt (24-watt total) 50mm acoustic drivers are nestled at either end of the BIG, while 55mm bookmatched passive subwoofers fire in opposite directions. The result? 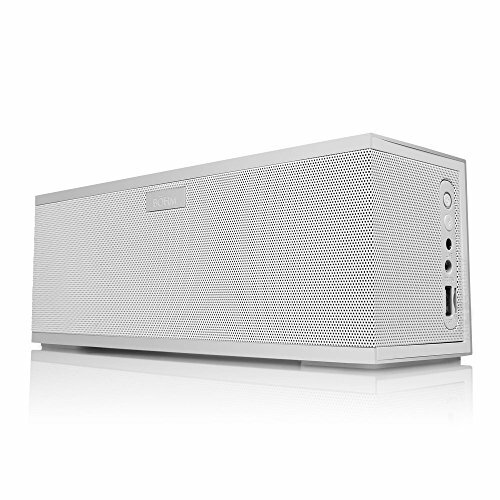 Crystal-clear highs, robust mids, and thumping bass that fill any room or outdoor space with expansive, resonant sound. 3-Hour Charge; 15 Playback Hours at 60% Volume or 6 Hours at Max Volume. If you have any questions about this product by BÖHM, contact us by completing and submitting the form below. If you are looking for a specif part number, please include it with your message.